Creative without strategy is ‘art’. Creative with strategy is called ‘advertising’. Creativity refers to the extent to which an advertisement contains a brand or execution elements that are different, novel, unusual, original and unique. Creativity is the soul of advertising and branding. Creative advertising is more memorable, longer lasting, works with fewer media spending and builds fan community faster. Advertisements with a high level of artistic creativity contain aesthetically appealing verbal, visual, or sound elements. 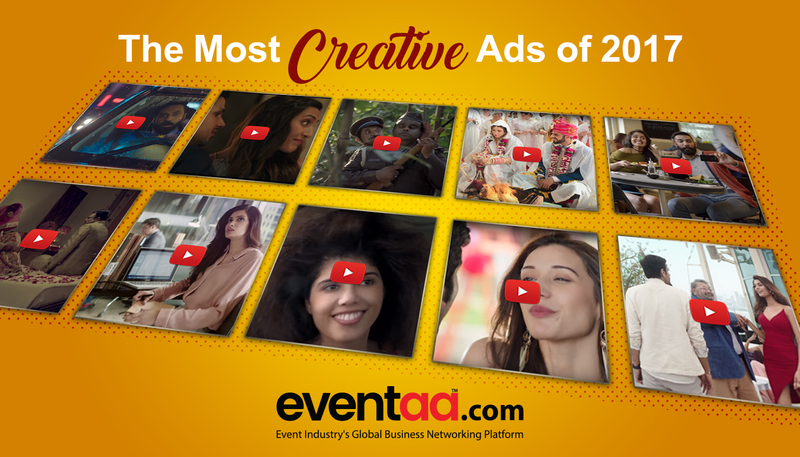 Here is the summary of the most creative ads of 2017 that has given creativity a different meaning. To ensure safe travel for bike riders against uncertainties during the monsoon season, CEAT Limited, a leading tire manufacturer has launched its latest TVC ‘Nehlau’. The ad was conceptualized by Ogilvy and Mather. Asian Paints tossed their new campaign titled “Baarish Ko aane do”. The campaign was conceptualized by Ogilvy and Mather Mumbai and directed by Prasoon Pandey. In this recently presented ad of Sprite was conceptualized by Ogilvy and Mather wherein the talking sprite bottle clearly distinguishes between fools and people who are cool. Wild stone Perfume is known for their ravishing brand ads and ad campaigns. The ad campaign with the tagline ‘Log to Notice Karenge’ was conceptualized by Ogilvy and Mather. Perfetti Van Melle India’s leading gum brand launched another ad campaign with the same tagline ‘Kaisi Jeebh laplapayi’ for its popular gum brand Center fruit. The campaign was conceptualized by Ogilvy and Mather. The aim of this campaign was to make the consumers aware of the threats of compromising on the quality of plywood. The ad was conceptualized and created by Ogilvy and Mather. Publicis Capital conceptualized the ad campaign. The hilarious ad of Make My Trip casted Ranveer Singh, Alia Bhatt, and Diana Penty. Sting- the electrifying drink is the second attempt by Pepsico to re-enter the energy drink market. After red bull, this drink would be an official drink to make its path in the category with the viral dancing note “it's my life”. Snickers, a chocolate brand of Mars International India launched the ad campaign that went viral. McCann World Group conceptualized the ad campaign. The ad campaign continues with the core idea of bringing out the craziness of an obsessive cricket lover in a hilarious way in the middle of various important situations. The ad was conceptualized by their in-house ad and marketing team. Google doesn’t need recognition. But the way couple in ad seen sporting their satirical mood with search engine the Ad agency work is quite commendable. Hathway is one of the largest cable internet providers in India. Hathway's new ad portrays several awkward situations where people have literally blown away thanks to the brand's lightning fast internet speed. P&G is one of the largest and amongst the fastest growing consumer goods companies in India. Tide is one of their major detergent brands. The ad campaign was conceptualized by Leo Burnett. Parle Products launched an integrated brand campaign which, showcases its portfolio of brands. The ad campaign was conceptualized by Taproot Dentsu. Creative advertisements always find their way up the ladder in convincing their target audience as they are more attractive, eye catchy and convey the message in a clear manner. You can share more creative ads in the comments section, below. Go through our other blogs on related topics and more.